Eat protein rich foods. 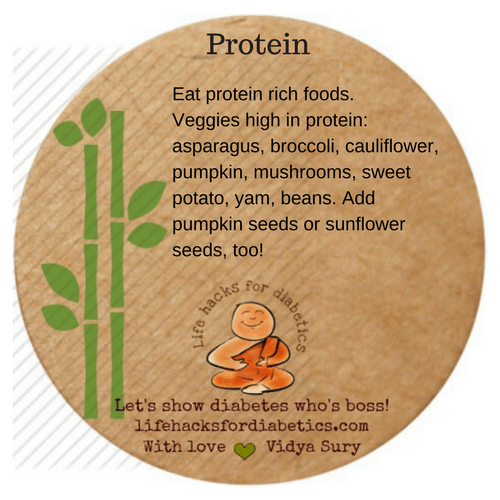 Veggies high in protein: asparagus, broccoli, cauliflower, pumpkin, mushrooms, sweet potato, yam, beans. Add pumpkin seeds or sunflower seeds, too!